Width Any18.0 - 21 in. 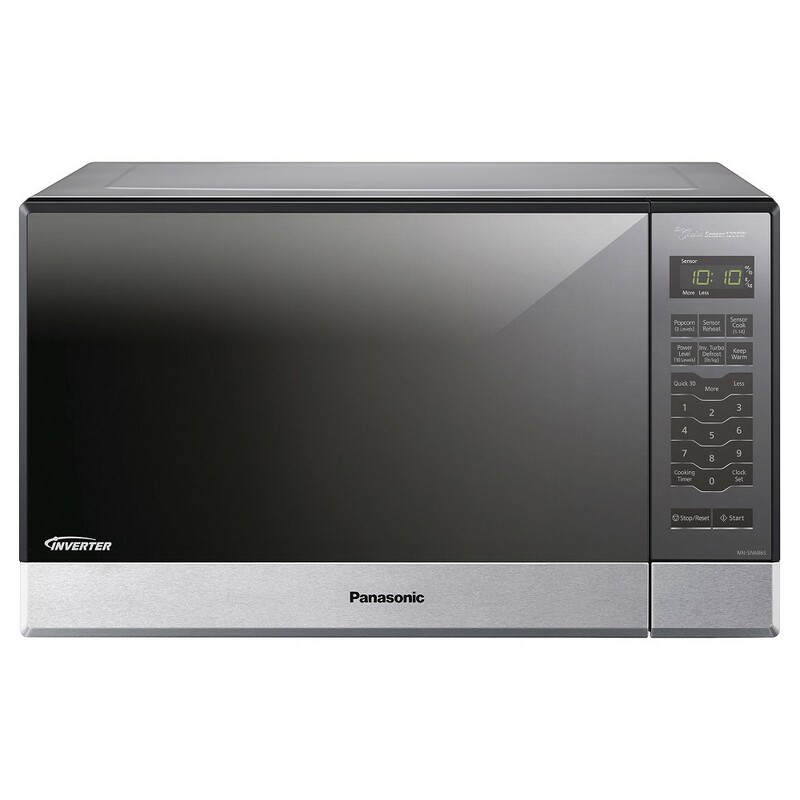 With its sleek stainless steel door and base and stainless silver body the powerful Panasonic 1200 Watt microwave makes a stylish and convenient addition to any home apartment or condo kitchen. This compact 1.2-cubic foot microwave features patented Panasonic Inverter technology for consistent even cooking and delicious results. The NN SN686S has sleek embossed-look membrane keypad and touch controls plus a 13.4-inch turntable to evenly heat and cook breakfast foods after-school snacks dinners appetizers and more. Ideal for singles busy professionals and on the go families the Panasonic NN SN686S provides both manual and automatic cooking options plus an interior big enough for a 13-inch casserole dish and a stylish exterior guaranteed to complement any kitchen decor. Patented Inverter Technology delivers a seamless stream of cooking power even at low settings. With the continuous linear output of Inverter not only will your food be easily and quickly prepared you can confidently cook and even This item cannot be shipped to APO/FPO addresses. Please accept our apologies. We do NOT provide any installation services nor removal of old appliances. Delivery for large items is curbside only.